Khalsa return to league action on Tuesday evening, welcoming Black Country neighbours Lye Town to the Aspray Arena (kick off 7.45pm). In a fitting piece of symmetry, the last league game for both sides was against leaders Ilkeston Town, with very different results. 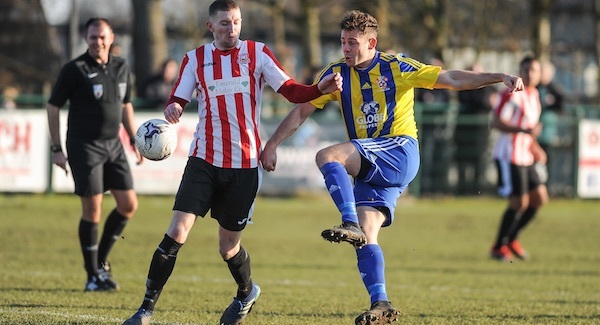 While Khalsa crashed to a deeply disappointing 3-0 defeat, Lye bested the leaders 1-0 on Saturday thanks to a goal by former Khalsa man Nicky Turton. 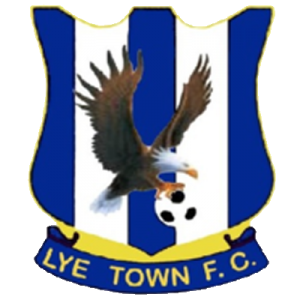 Lye are currently 12th in the Midland Football League, a full ten points behind fifth placed Sporting Khalsa. The impressive result against Ilkeston came on the back of defeats against Stourport Swifts and South Normanton (both 1-0 at home) and a 1-1 draw at Romulus. Their top scorers are Jack Till with 19 and Joe Lawley with 13, although Till has recently made the move to Halesowen Town. Khalsa will have new signings Kieron Whittaker and Gaz Singh available for selection and would be making their first appearances for the club. Earlier this season, Khalsa fought out a pretty uneventful 0-0 draw at Lye. Last season Khalsa had the upper hand, beating Lye in both encounters. First, in November 2017 Khalsa won at Lye 3-0 thanks to goals by Mykel Beckley, Kyle Brady and Dave Meese. Then, in February, a last minute Jak Jeys goal earned the points in a 2-1 win in the reverse fixture played at Castlecroft. There’s surprisingly few players with history at both clubs at the moment. The aforementioned Nick Turton spent the second of two short spells with Khalsa over Christmas and this will be the second time he has played against Khalsa, after turning out for Worcester City against us earlier this season. Josh McKenzie, who has already played against Khalsa for Wolverhampton Sporting this season, also plays for Lye.